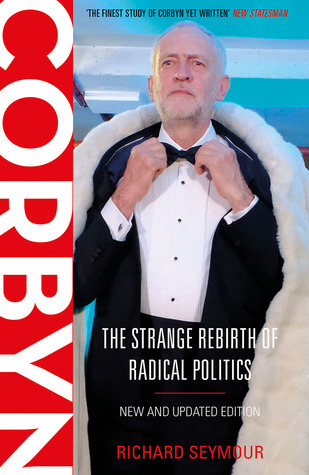 There’s plenty of the customary mix of pessimistic intellect and optimistic will in the sublimely good, and substantially, updated post-election second edition of Richard Seymour’s Corbyn : The Strange Rebirth of Radical Politics. For a practical insight into how that radical politics is being organised in and around Labour The Way of the Activist by Jamie Driscoll and Rachel Broadbent, published by the excellent Talk Socialism political education group, provides a how-to guide which is rare in the scale of its imagination and ambition. Chris Nineham’s How The Establishment Lost Controlbuilds on his earlier account of the Stop the War movement The People v Tony Blair to make a case for a left politics that is rooted in the movement rather than the party. The issue for me is whether without the leverage a well-organised left within Labour, yet open to the movements Chris describes, change can be effected. John Medhurst’s That Option No Other Exists since it was published in 2014 has become the definitive account of both the necessities for such a Labour Left but the limitations therein too. Perhaps the best way of combining both options, in but not restricted by Labour, is the popularising of radical ideas, there’s few better starting points for such an objective than George Monbiot’s latest book Out of the Wreckagewhich describes its purpose as “ a new politics for an age of crisis.” Or perhaps it's best this Christmas simply to sit back, kick off the slippers and reflect on how the past twenty years has ended up with Jeremy Corbyn (Jeremy Corbyn!) closer to Number Ten than anyone ,including himself, could ever have imagined. John O’Farrell tells the story of those two decades with his own unique, and richly amusing, style in Things Can Only Get Worse? And as for where it all started, Richard Power Sayeed establishes himself as the definitive critical chronicler of the Blair years with his superb book 1997: The Future That Never Happened. If we can agree that to make a success of Corbynism demands a wider perspective that both includes Labour but goes beyond it too then to help us to understand the nature of the politics this now demands is Platform Capitalism by Nick Srnicek which provides an overview of the economic terrain on which Labour would seek to govern for the many, and all that. To come anywhere close to fulfilling that aim will require reinventing what we mean by the collective, aka ‘the many’. A process made a tad easier following a reading of Lynne Segal’s new book Radical Happjness a project she describes as rediscovering processes towards creating ‘moments of collective joy.’ The Mask and The Flag by Paulo Gerbaudo foregrounds the thinking of a new generation of activist-intellectuals as they seek to map out a similar project towards new forms of collective action. The collection Beautiful Rising showcases this process on a global scale with one inspiring example after another to leave campaigners breathless with the belief that abother world remains possible. One domestic example of this sort of resistance were the 2010-11 protests against the tripling of tuition fees, a story now retold in Student Revolt by Matt Myers. Matt describes the lasting political legacy of these protests as an ‘austerity generation’ many of whom are now supportive of, and involved in, Corbynism. 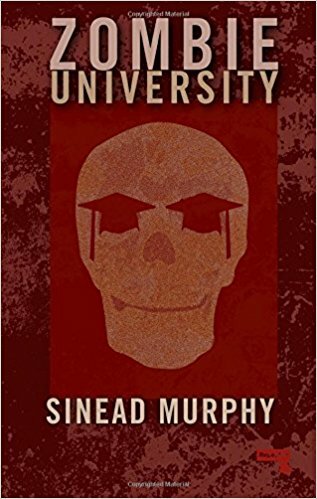 But the broader impact remains the wholesale, and disastrous marketisation of higher education, the consequences of which are powerfully accounted for by Sinéad Murphy in her book Zombie University, a right horror show. None of this pales into insignificance, of course, compared toTrump’s Presidential reign but his brand of reaction has proved more than bad enough to dominate much of 2017 . Why Bad Governments Happen To Good People is Danny Katch’s handy explanation of how America ended up with Trump in charge. In Britain meanwhile the next General Election, barring a major miracle, will be fought post-Brexit. So understanding the likely impact of this rupture is vital in preparing for Labour not just to do better next time but to win. In The Lure of Greatness author Anthony Barnett gets away from the liberals’ blame game to explain why Brexit happened and carves out a future politics that can reverse those reasons. But before we get there there’s a very real likelihood of things turning nasty, with food prices, even shortages too, quite possibly at the centre of such tensions. Bittersweet Brexit by Charlie Clutterbuck is the first serious attempt to explore the #ToryBrexit consequences for farming, land and food inflation. One of the chief architects of this almighty ‘uck up is Boris. For too long treated as a loveable rogue he is in fact both hapless and dangerous, a lethal combination brilliantly exposed in Douglas Murphy’s account of his tenure (sic) as London Mayor Nincompoopolis. Is there any way out of the mess? Harry Leslie Smith’s powerfully written Don’t Let My Past Be Your Future continues this ninetysomething author’s effort towards a call to arms (of the metaphorical variety) with a passion and poignancy still all too rare in our body politic. Stuart Maconie revisits that past which framed Harry’s lifetime of views with his Long Road from Jarrow an imaginative tracing of the 1936 Jarrow March, then and now Or for a very different take on how the legacy of yesteryear’s politics shapes the politics of today and tomorrow try the innovative, and very challenging approach of Revolutionary Keywords for a New Left where author Ian Parker offers a redefinition of the vocabulary of change, A-Z. The Left, me included, has a bit of a thing about its own history. For some this is an unhealthy obsession with unchanging certainties. For others a breathless modernisatiin which defines itself by junking the past simply because it old not new. 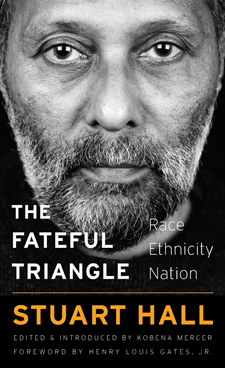 What considering our past of course should be about is not being trapped by it but beng liberated by our history via an exploration of what became possible and what proved to be impossible. Hence a favourite journal of mine is Twentieth Century Communism the latest edition uses the 1917 Centenary to revisit the differing politics of previous commemorations, testament to the journal’s unpredictable breadth, and insightful depth. A similar, but even wider approach is taken by the journal’s special edition Echoes of October ranging even wider over the period of commemorations from 1918 to 1990 with Ukraine in the 1920s Weimar Germany and Pravda amongst those included. A very different approach is taken by a long-time supporter of Philosophy Football Pete Ayrton with Revolution! A really revealing collection of original writing from those Ten Days that shook the proverbial one hundred years ago. Available as an exclusive signed first edition from here. A challenging account of 1917 is provided by John Medhurst’s No Less Than Mystic a deconstruction of the history which is both scathing of the errors made yet incontrovertibly optimistic of the unfulfilled potential. Of course any account of the Communist tradition has to be about more than just 1917. Another special edition from Twentieth Century Communism Weimar Communism details the extraordinary rise of the most powerful post-1917 Communist Party outside of revolutionary Russia, the German Communist Party, and its eventual eclipse by the parallel rise of Hitler’s Nazi party. A splendidly different account is provided in Red International and Black Caribbean by Margaret Stevens where she uncovers the largely hidden history of Communist organisation in Mexico, the West Indies and New York City during the inter-war years, 1919-1939. Of course the period since 1945, and again since ’89, has convulsed whatever remained of the Communist ideal after those early days shaking the world. 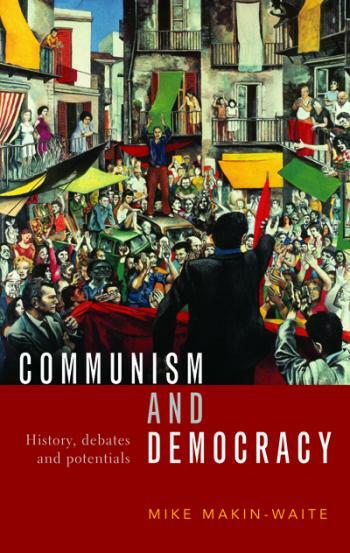 Mike Makin-Waite’s Communism and Democracy provides an insightfully original account of the twists, turns and missed opportunities from there to here without ever losing sight what remains alive, if not always kicking. The second volume edited by Evan Smith and Matthew Worley on the British Far Left Waiting for the Revolution is an account of post 1956 communists and revolutionaries of various varieties who lost their way on more than one occasion but for all that kept on, keeping on, a persistence which isn’t all bad, or all good either, and this collection helps us to understand why. But none of this historiography makes much sense if in the process the personal is divorced from the political. Michael Rosen’s So They Call You Pisher? avoids the latter pitfall. As a memoir of growing up in a London East End Jewish Communist household the book combines sublimely a rich humour and a sharp politics with good writing which is such a rare combination in most left writing , and that’s a great shame. The mix of radical politics with popular culture remains a constant, yet necessary struggle. It is something on the whole Corbynism remains rather weak on considering the huge potential. This is another instance where valuable lessons can be learnt from history, not to slavishly replicate earlier models but to recreate for the times in which we live now the ideals that fused these cultures of resistance back then. One such example is retold by Rick Blackman in his short book Forty Miles of Bad Road which uncovers how musicians came together to help promote unity after the 1958 Notting Hill Race Riots. 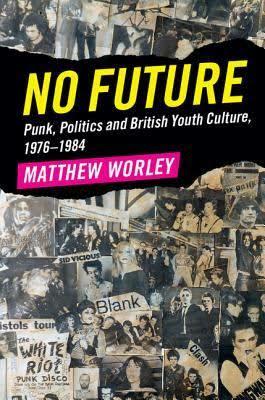 A perhaps more familiar era is revisited by Matthew Worley’s No Future detailing the collision of punk, politics and youth culture 1976-84. Heady days for those who lived through them and invaluable towards understanding the potential for something of the sort, similar but different, today. Grime4Cobyn and the We Shall Overcome Weekend fesitvial beng just two examples from 2017 of the possibilities. One possible fusion of the political and the cultural is poetry. 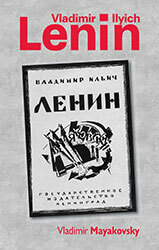 Rosy Carrick’s new edition of the epic Mayakovsky poem Valdimir Ilyich Lenin is 197 pages’ worth proof positive of that. Or for a more current exponent look no further than Michael Rosen (again) and his latest poetry collection Listening to a Pogrom on the Radio. Not that there aren’t plenty more from where Michael is coming from, the Bread and Roses 2017 Poetry Anthology On Fighting On! brings together a selection of just some of the many wordsmiths working on the poetry front versus reaction, and the evidence here suggests, to very good effect. With a thriving spoken word live scene too, and the work of groups like Picket LIne Poets and Nymphs and Thugs, another invaluable resource of hope towards a better future. And amongst all this reading what about something for the children? Detective Nosegoode and The Museum Robberyby Polish children’s author Marian Orton´ is every bit as good as the previous two in this series for junior crimefighters. 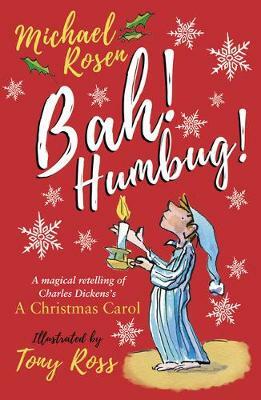 A newly revised version of a familiar tale of all things Scroogelike Michael Rosen’s (yes, that man again) Bah! Humbug! is of course an absolute seasonal treat. And the political book of this seasonal quarter? After the year we’ve had combined with a passion for mixing politics, popular culture and humour there was only ever one contender. 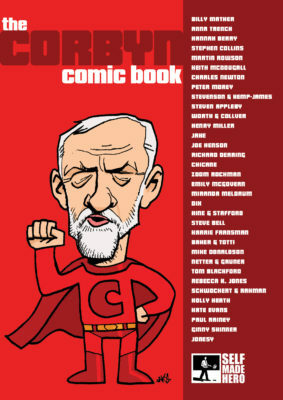 Incredibly original, with a vast range of wonderful artists contributing, The Corbyn Comic Book funny, touching and meaningful. And looking forwards, or Oh 2017... as the New Years's Eve song, might go what could next year possibly bring?